Newcomer Family Obituaries - Marshall Owens 1930 - 2019 - Newcomer Cremations, Funerals & Receptions. Marshall Henry Owens, age 89 of Clearcreek Township, passed away Wednesday, April 10, 2019 at Hospice of Butler and Warren Counties. He was born January 24, 1930 in Speedwell, Tennessee to the late Ossero and Paradine (Edwards) Owens. In addition to his parents, Marshall is preceded in death by several siblings. Marshall is survived by his wife of 69 years, Audra (Braden) Owens, children, Larry (Debbie) Owens, Kimberly (Jim) Combs and Tina (Tim) Partin; grandchildren, Phillip (Trista) Owens, Nicole Owens, Jesse Combs and Hannah (Chet) Ozmun; great grandson, Elliot; 3 siblings, Claude, Nila and Alida; close neighbors, Barb, Rob and Cheryl as well as numerous extended family and many friends. Growing up Marshall learned many valuable skills working in his father’s blacksmith shop. He worked a short time on the railroad in Michigan before going to General Motors in Dayton where he retired. As a young adult, Marshall gave his life to the Lord and served Him faithfully all his adult life. He loved serving as a deacon, usher and greeter. He was always ready to share his testimony. Marshall enjoyed vegetable gardening, yard work and spending time with family. He will always be remembered for his story telling and ability to make people laugh. Family will receive guests from 11:00 am – 1:00 pm Monday, April 15, 2019 at Urbancrest Baptist Church, 2634 Drake Rd, Lebanon, OH 45036. Service will immediately follow at 1:00 pm with procession to Miami Valley Memory Gardens, Centerville for burial. Memorial contributions may be made to Urbancrest Baptist Church Missions Department to the church address or Hospice of Butler and Warren Counties to the attention of the Hospice of Dayton Foundation, 324 Wilmington Ave., Dayton, OH 45420. To share a memory of Marshall or leave a special message for his family, please click the Share Memories button above. Add your memories to the guest book of Marshall Owens. Many memories of living next door to the Owens on Lytle Rd. Mr. Owens mowing, doing the garden, cleaning the garage and at some point he would finally stop and rest a bit. We were so very fortunate to have you as our neighbors. I know how hard the loss is. I'm keeping all of you in my prayers. Thank you Jesus for having me pick a piece of land to build my house, that was located next to the Owens. Thank you Jesus for Marshall's children, who allowed me to share their father with me, so I always felt safe with him next door to me. Thank you Jesus, for placing such a kind and loving man in my life, who not only walked the walk; but talked the talk about his journey with God. Thank you Jesus for putting such a wonderful man in my life, who taught me things everyday, and helped fill the void of losing my own father. Thank you Jesus for a friendship that will never end because he made sure I was "ready" to join him in the pearly gates, when my time comes as well. I miss you so much Marshall..........there will always be a new sheriff in town, but never a new Marshall!! 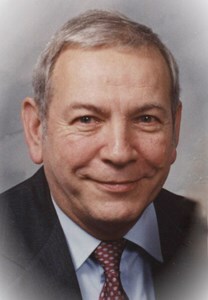 Warren J. “Ren” Newcomer, Jr. is a licensed funeral director in the states of Kansas and Ohio. Theresa Newcomer is not a licensed funeral director. Peggi Burkett, Licensed Funeral Director.